This is the special and discounted offer for a bundle of all 4 Flower Bellpulls – the former CHAT 028, 029, 030 ,031. You will save more then 20% to the price of single bought designs. Each of the designs is small project, suitable for beginners too – easy to stitch, but with a “wow”-effect ! You can stitch them single – or arrange them on a larger or longer piece of linen all together ! 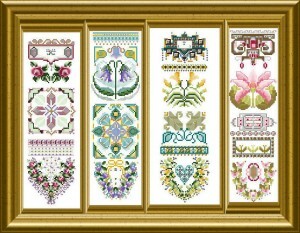 You will use cross stitch and Special Stitches, all arranged in the ways of a Band Sampler . Various threads, beads and sew-on treasures will make this piece dimensional and interesting to stitch. 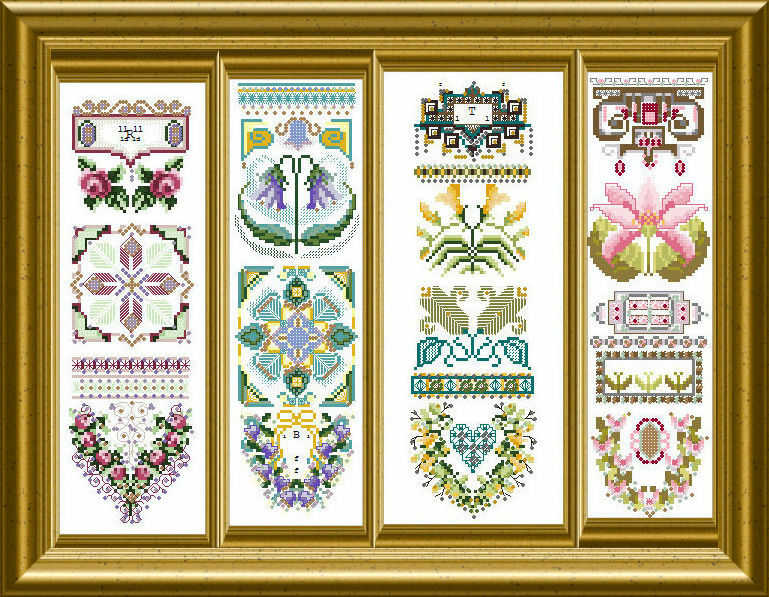 The mere design size of one single sampler is 41 x 141 stitches – so it is suitable for ready made linen banding as well as for evenweave fabric to your choice.